To get your Indiana dealer license, you need to submit your dealer application along with a number of other documents! If you’re thinking of becoming a car dealer and opening a dealership in Indiana, you will need to obtain an Indiana dealer license from the Secretary of State – Auto Dealer Services Division. Getting licensed as a dealer is fairly simple and straightforward – you need to fulfill a number of licensing requirements, such as obtain an Indiana auto dealer bond, submit your dealer application and additional documents, as well as pay a licensing fee. Read on for a full description of the licensing process and links to relevant sources! 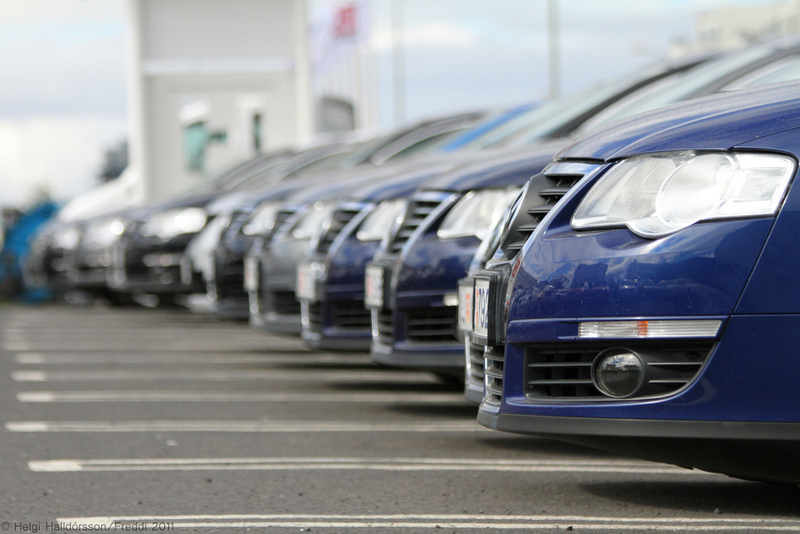 According to Indiana Code 9-32 (IC 9-32 – Dealer Services) and Indiana Administrative Code Title 75, any person who sells over 12 vehicles per year is required to acquire a dealer license. Within all these categories you can become licensed as a new only, used only or new & used vehicle dealer. Regardless of the type of license though, the requirements for obtaining an Indiana motor vehicle dealer license are the same. These are as follows. Your first job when applying for a license would be to fill in the Application for Vehicle or Watercraft Dealer License (SF 13215). Therein you will have to specify the type of license you are applying for, state your Federal Identification Number (FIN) which you will have received from the Internal Revenue Service (IRS), as well as provide information about yourself, the business and answer a few short questions. In addition you must also pay your licensing fee which, for first-time applicants, is $30. When applying for a dealer license you should also be aware of the following requirements for your dealership, in order to have your Indiana dealer license application approved. The car dealer bond is an essential part of your Indiana dealer license application. The bond guarantees that bonded and licensed Indiana car dealers comply with state rules and regulations. Put differently, the purpose of the bond is to protect the state and public of Indiana from car dealers who are dishonest. This is how it works: if a car dealer violates any of the above state statutes or acts in a dishonest and fraudulent way, a claim can be made against their bond. When a claim is made, the surety investigates the case and if it is legitimate, the claimant can be compensated up to the full bond amount or in this case – $25,000. To obtain the bond, you needn’t pay this amount though. The amount you need to pay, your premium, is a fraction of the total bonding amount and varies between 1%-3% for standard market rates. That translates into a cost of $250-$750 for your Indiana auto dealer bond. What determines the exact cost of your bond is your personal credit score as well as other indicators of your financial stability. If you’d like to know more, our surety bond cost page can offer you extensive information on the topic. To get a free quote on your bond before applying just submit a surety bond application form and we will get back to you with your quote. Last but not least, call us at 877.514.5146 or send us an email to [email protected] if you have any outstanding questions or need any help.